When Brandon and I found out we had the opportunity to enjoy British Soccer camp again we were super excited. 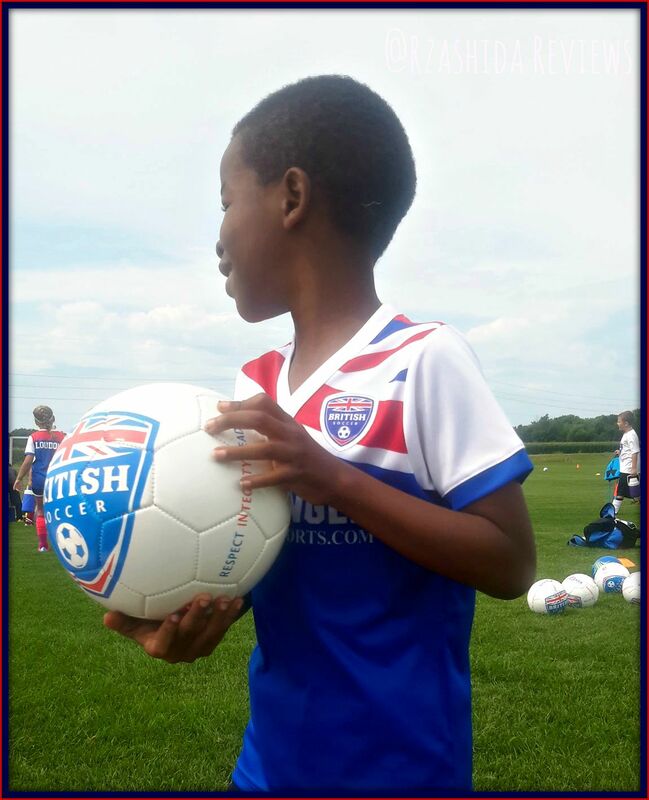 Brandon enjoyed British Soccer camp in 2015 and was delighted to attend again this year. The camp included lots of drills and team building. Each child had a turn be a offensive runner as well as the goalie. It is best to know how to play every position. These drills encouraged team building and great sportsmanship. The kids frequently encouraged each other and shared techniques. The coach took time with each child to ensure that they knew the necessary steps to each task before moving on to the next exercise. Each of the children was provided with a ball so they could practice the plays at home. Brandon found it challenging to dribble the ball and frequently practice. The coach practice one particular drill where the kids either caught the ball or hit it with their head on his command. This was a great way to sharpen listening skills as well as eye and hand coordination. Please watch the video below of Brandon and his teammates.